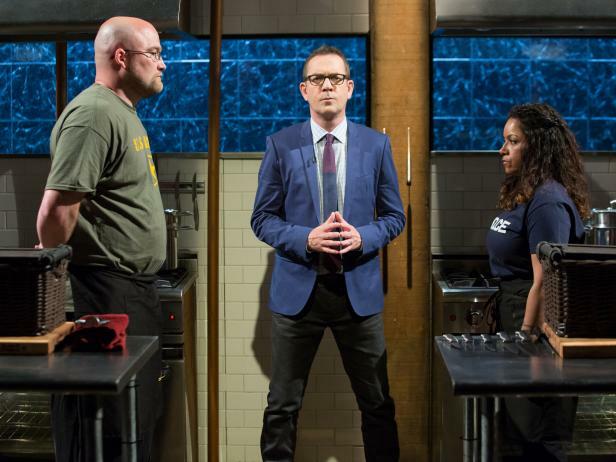 For the first time on Chopped, professionals and amateur cooks will go head-to-head at the end of the five-part Ultimate Champions tournament. 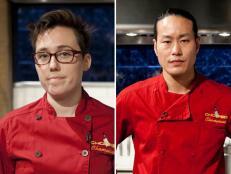 But they've all competed on Chopped before: They've tasted what it feels like to win, and they’re hungry for more. In tonight's third round, four heroes in their own field of work battled to determine which one would move on to the grand finale, where there's a chance to win the largest prize in the show's history: $50,000, with a brand-new car to top it all off. FN Dish has the exclusive interview with the winner from Part 3. 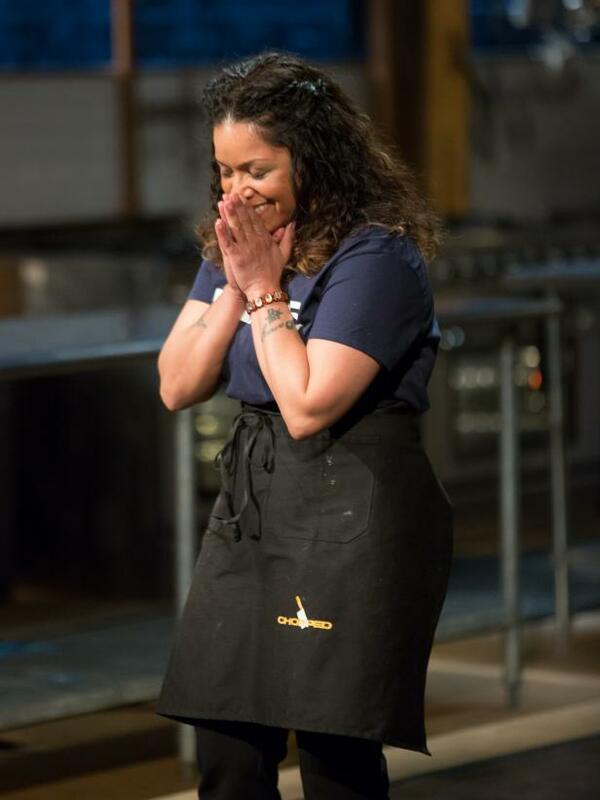 Hero Champions Diana Sabater, reacts to winning the episode the Chopped kitchen, as seen on Food Network's Chopped, Season 21. 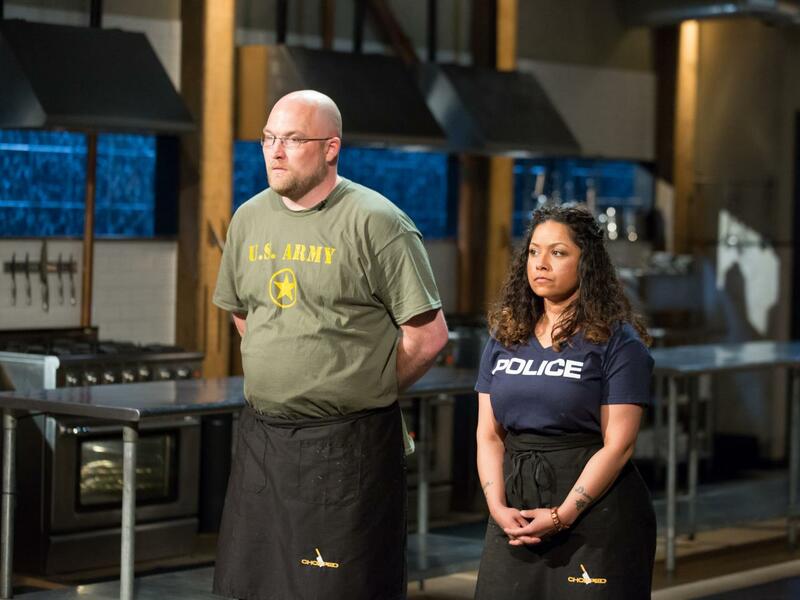 Former police officer-turned-private chef Diana Sabater came into the competition with a goal to see herself in the finale. Diana's a woman who's had her share of hardships and turned her life around by going after the things she's wanted out of life. And since appearing on Chopped the first time, she's made her dream of cooking for a living come true. Without having professional experience, Diana relied on what she knew, her Latin heritage, and cooked with flavors she loves to share with others — these are what got her through to the end. 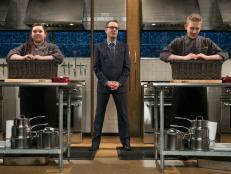 She showed the judges that she could certainly be matched with a pro chef like Giorgio, the winner from Part 1. 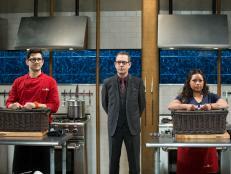 Along with him and amateur home cook Keith from Part 2, Diana moves on to the Ultimate Champions finale on September 23. What was different competing this time vs. last time? Diana Sabater: This time around it was different because we all came from an environment where we served and risked our lives, where we develop that camaraderie. Immediately it just seemed like we bonded. We all had each other's back no matter what the outcome was. We were all rooting for each other. It didn't matter, as long as one of the heroes got to win. What was the hardest basket to work with today? DS: The hardest basket was the entree, because the peppermint patties threw me off. I was just trying to figure out how to incorporate them. I wanted to shave off the chocolate and just use the peppermint with the lamb, but there was no way for me to cut the chocolate off. So I figured I'd just make a sauce out of it. Also because I don't cook lamb chops all the time — I think I've cooked them once before. And that one time I overcooked them and they turned out dry. So I was worried when I saw lamb chops. I knew I could possibly overcook them and that I needed to take my time with them. That's why I didn't put them on the grill pan too early in the round. I wanted to make sure I only cooked them a few minutes each side. I wanted them to be juicy and tender. 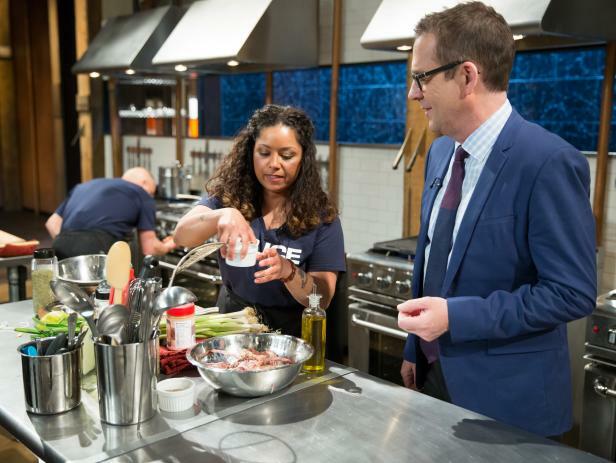 Former Police Officer, Chef Diana Sabater talks with Host Ted Allen while she competes, as seen on Food Networkâ's Chopped, Season 21. Maneet called you out on the chops not being cut or cooked consistently. Did that worry you? DS: I was worried. I didn't want to cook the whole rack together because of the time, but I didn't think that it would cook unevenly. I tried to cut them as evenly as possible, but I think I was kind of nervous because I still wasn't sure how I was going to execute my dish. I wanted to make sure that I cut them and I didn't spend too much time cooking them so that they'd be raw. Why didn't you want to call your sauce a mole? DS: I didn't want to call it mole because I know that Chef Aarón is an expert on Mexican cuisine, and mole is something I still need to learn how to cook. I know the majority of the ingredients involved, but I wasn't going to go there. I thought to myself, "I'm not going to call it a mole," because I know I haven't perfected that sauce yet. I just wanted to show respect for the food. I'm aware of my skill level, and I don't want to try and step over that when I know I'm not ready for it. Your churros came out amazing, but the pecan coating wouldn't stick. Do you think you would have done something different with the pecans? DS: I think now what I would have done is incorporate the pecans into the dough. It would have given it a nice crunch. Pecans are a very oily nut. So it was hard for me to get it to stick to the churro. It's different if you use cinnamon, because it sticks to the churro. You had a Latin-American theme going today. Was that intentional, or did that come out naturally? DS: I put a Latin twist on all my food. If I make Asian food, it gets a Latin twist. If I make Greek food, it gets a Latin twist. That's who I am. This is how I was taught to cook. My grandmother taught me how to make traditional Puerto Rican food. So every time I cook, I always have to add something Latin to it. Competing here again, what's your goal in the end? DS: At the end of this competition, my goal is to continue to motivate women. Being a single mom, I know what it's like to have lack of support. I had to make decisions in my life that I got criticized for, but despite the criticism I moved forward. I did everything that I had to do to get myself out of a bad situation, to see myself progress to a level that I wanted to reach. I know that there are a lot of women out there who are going through what I went through. I want to continue to support them and create a community resource for women so that we're all there for one another to help each other out. Hero Champions Robbie Myers and Diana Sabater during judging, as seen on Food Networkâs Chopped, Season 21. 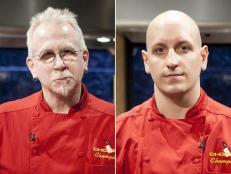 How has your life changed since you last appeared on Chopped? 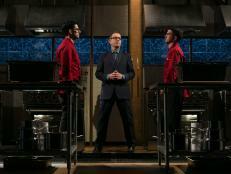 DS: Last time I was on Chopped, I said that I wanted to start a catering business, but I didn't have the personnel or the equipment, so I had to pull back from that and regroup, revise my plans. Then I went into working as a private chef here in New York as a way to step into the food industry and start building a reputation for myself. I still have so much more to learn, and that's the one thing I never stop doing. I'm always looking to study something, so I'm excited about this, because what the private chef work has done is push me to be better at my skill and to bring it to that professional level as if I had gone to culinary school. DS: I don't want to repeat what I did, because that's too easy. Because it's the grand championship, I know I have to bring my level higher. So I'm just going to try to remain calm and have all my plans for how I'm going to execute everything. I'm definitely going to pay more attention to the time, so that I'm able to execute, put everything on the plates, make it look really nice and clean, and make sure that the flavors are there. 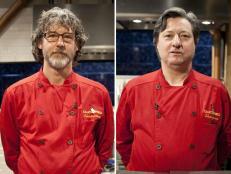 Are you worried you'll be going up against a pro and two other home cooks? DS: Yes, because I don't know what kinds of skill these people are bringing, even the amateurs. The guys that I competed against today were pretty amazing. They did some really great stuff that I would not have thought of doing. So there is that fear of what you're stepping into. But I know I'll do fine as long as I stay true to myself and my Latin heritage. I always go back to my roots, and so far it's worked.